It is clear that crime levels are rising in South Africa; therefore a lot of people are getting more security conscious. Nowadays, security is playing a big role in the decision making when choosing between different homes. In this article I will describe why security will play a big role on the value of property in South Africa. Due to the rising crime rates in South Africa, we can thus see that property which are in security complexes have higher premium rates than other types of property. Over the long run it would also generate bigger investment turnouts. 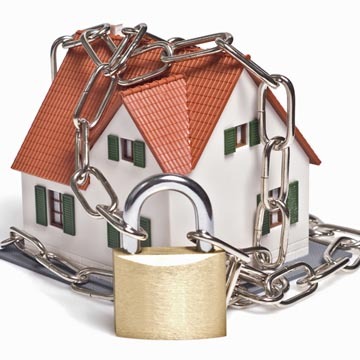 That’s why the security level of your property has a direct influence on the current value of your property. It is of utmost importance that you do some research on the crime levels of a neighbourhood before making any buying decisions because it can have a negative impact on the property value. South Africans tend to spend too much time on the features of the house where they should rather spend time investigating the crime and security levels of the area. There are a few things that you can do in order to get the correct information on a specific neighbourhood. 1) It is always wise to make contact with the local residents association. They should be able to give you good information on the neighbourhood itself and the security levels of the area. 2) I would also suggest that you talk to current home owners in the area. You can get an idea of how the neighbours interact with each other. In most cases you neighbours are the best security that you can have. They will also be able to tell you if they are living happily in the neighbourhood. 3) Make contact with the local security companies. They are a wonderful source for information on a neighbourhood. They should be able to give you crime stats and their presence in the area. You should also find out what services they offer to their clients, because if you decide to buy there, then you would most likely make use of their services. 4) Take a look at the local parks. Make sure that the parks are well maintained and kept in a good condition. Check whether people make use of the parks and if there are people walking the streets. It is better to have active street traffic, as it is one of the best ways to minimize street related crimes. 5) I would suggest that you fit your house with a good personal security system. Not only will this add security for your family, but will also push up the value of your house. Things which you should consider are burglar bars, safety gates, and electric fencing and CCTV cameras. They will all help you to improve the security levels of the property. I would just like to add that by installing good security systems to your home and buying in a good neighbourhood will put your mind at ease, knowing that your family is safe. It will also make sure that the value of the property stays in good shape.